We proudly announce that our Eggs athlete Federico Elli, claims inaugural Messinia PRO-AM with -8. 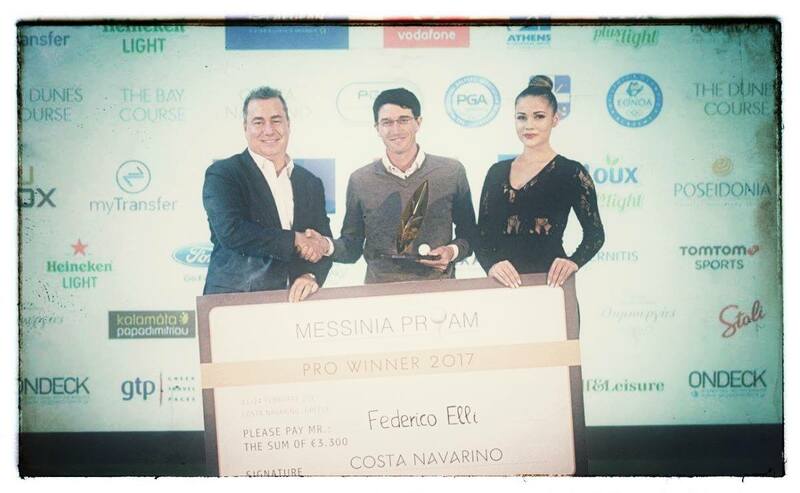 The PGA of Italy’s Federico Elli maintained his two shot overnight lead to claim the inaugural Messinia Pro-Am organised by Costa Navarino in Greece. Elli is looking to use the victory as a springboard into the rest of the season: “I go to London in one month and proceed with some events on the Alps Tour and of course other PGAs of Europe Pro-Ams.